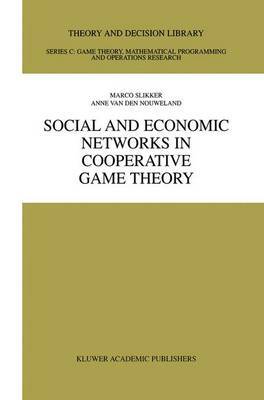 Social and Economic Networks in Cooperative Game Theory presents a coherent overview of theoretical literature that studies the influence and formation of networks in social and economic situations in which the relations between participants who are not included in a particular participant's network are not of consequence to this participant. The material is organized in two parts. In Part I the authors concentrate on the question how network structures affect economic outcomes. Part II of the book presents the formation of networks by agents who engage in a network-formation process to be able to realize the possible gains from cooperation.